Global Leadership Forum, where is the whole big world is represented. More than 150 fellows coming from more than 90 different countries to live the dream of unity, diversity acceptance ,networking and leading the world to better life. 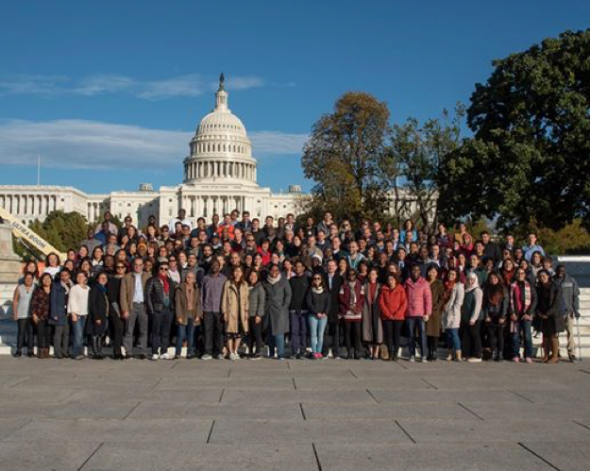 I was one of luckiest fellows to have this opportunity participating in the forum 2018-2019 in DC. It was great opportunity where I met inspiring fellows working in different fields,Connecting with them, share ideas looking for future co-operation. I was amazed by the idea of gathering all that diversity in one place where you can feel the real meaning of acceptance and unity just by looking around you in the reception ; different colors ,races and languages. All of them trying to find a common area to connect together.In addition, we have great discussions full of constructive arguments to come up with recommendations solving our broad issues our region is facing . Moreover, sharing it with other regions where you find out how similar are the challenges faced by each region. My journey includes also some visits.I had good opportunity to pass by the white house region where I found anti trump demonstration .I was surprised of the level of freedomUS citizens have. in addition, I visited the national park museum where I found real Egyptian mummies that makes me wonder how did it has been transferred from my country! I loved the trees and huge green areas in DC where it give the feeling of peaceful life . ” Oh my god ,am I back to Cairo? ” that was my first comment when I had great walk in George Town. I was surprised of the similarity of the building architecture with building in Kasr El Nile street in downtown Cairo. Also the Potomac river and bridge reminds me by Kasr El Nile and Nile bridge. 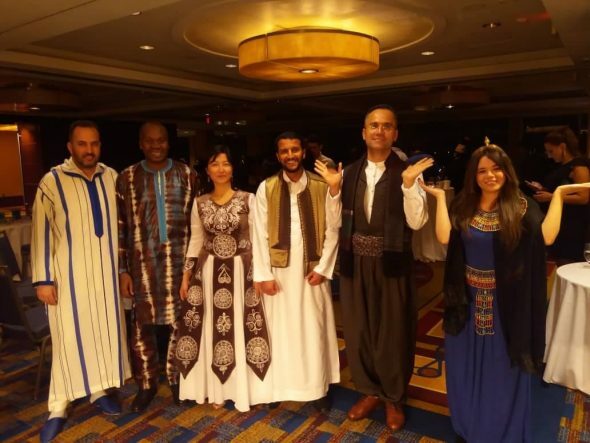 The forum had a cultural day where fellows can represent their cultures by wearing traditional dress or perform a song ,dance or poetry.As I am passionate about culture exchange , I had much fun and great time in that day. I was so proud wearing my ancient Egyptian Custom as a pharaoh queen and sharing Egyptian pop music. In addition, enjoying the cultural performances. 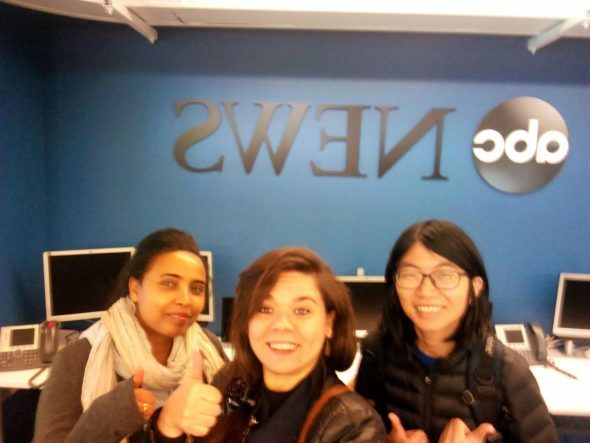 After the Forum, I went to NewYork where I had a visit on ABC channel and take a tour how it works. 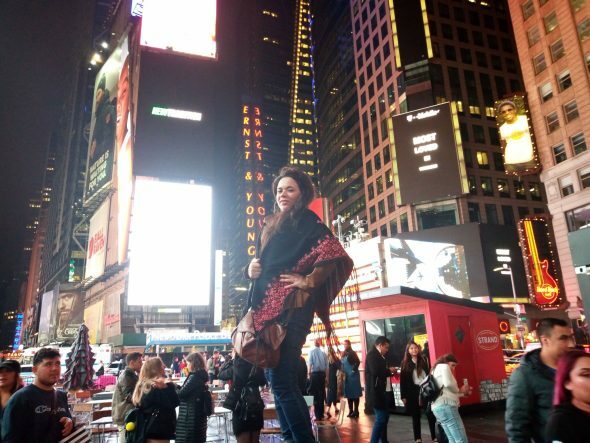 The Journey was inspirational to me where I get inspired in every single moment I spent exploring people and places! Written by: dyounes on November 8, 2018. What an amazing opportunity! I am glad you got to see the United States outside of Phoenix, Arizona. Also beautiful photos to accompany the blog.